For those who love yoga, this is a great reminder of one of the most important aspect of the practice. I love this message. 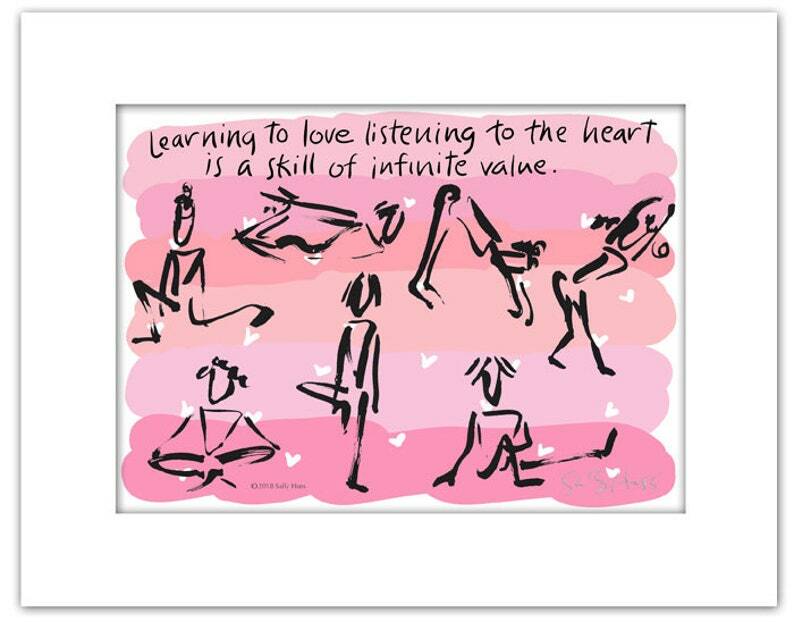 One of my first books was titled "Learning to Love Listening to the Heart." I hope you like it. It is in my new line of gift art, hand-signed by me with the outside dimension of 8"x10." Enjoy!